I am AnyaSmash. As most of you may know me, I manage the Concept Art department as well as work on the forums. In light of recent events, I felt the need to apologize for what has been happening. I'm sure many of you have noticed the screenshot of a forum user's immaturely "modified" post roaming around Tumblr, Facebook, deviantART, Skype chats, and the forums. I would like to mention that all of the forum user's ideas were not wasted, we have a copy of all their suggestions, and we are already taking them into consideration. We normally do not censor any user's valid suggestions, and the posts were only censored due to the fact they were being spammed multiple times. I will admit that I am the one who worked on word-filtering their post in order to say such ridiculous things. However, please note this post was not modified permanently, as word-filtered posts are returned to their original state once the word filter gets removed. The word filter was put in place to prevent multiple temporary accounts from spamming the forum with the post, which had happened three times before I began working on the word-filter. The immature phrases were a joke I did while testing the word filter before they were replaced with the phrase "I will not spread drama." The post in question was not visible to the public, and was only visible to team leaders. One of the other team leaders thought it would be a good idea to jeopardize their position for a screenshot of a temporary filter not visible to anyone but a small group of seven people. I know this does not excuse my actions. I take full responsibility as far as modifying the word filters. I apologize for any tarnished reputation that the Legends of Equestria team may now have. I am hoping that we'll be able to move on past this small bump together and look forward to a summer full of fun events from Legends of Equestria. I will be answering questions and comments as honestly as possible in this thread. Legends of Equestria takes a giant leap into the future of online gaming! As many of you are aware, video game projects within the My Little Pony fan community are prone to appear and disappear at the drop of a hat, and almost none of them seem to finish. Recently, Fighting is Magic, the most anticipated and publicized project within the community, has decided to go in a bold new direction by stepping away from the My Little Pony label, and creating a game using completely original characters, which may or may not feature tussling llamas and Peruvian alpacas. And quite frankly, we all agree that this was a fantastic idea on their part. 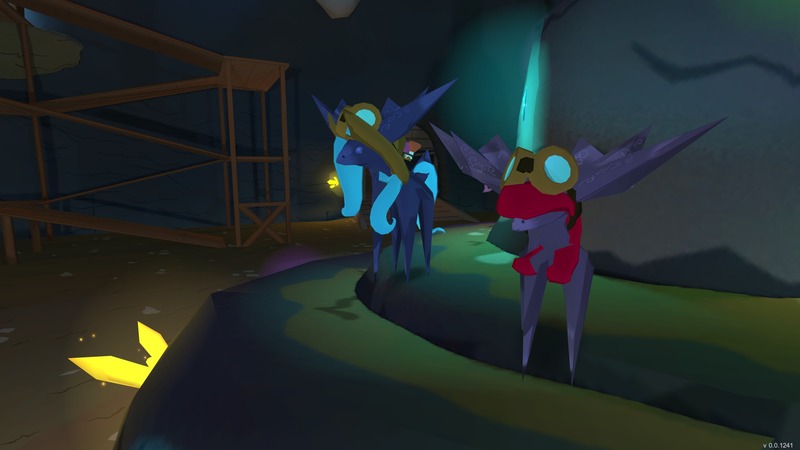 It's quite obvious that eventually, the hype surrounding the My Little Pony community is going to die down, and this is the perfect way to ensure a lasting legacy in the history of gaming itself, rather than that of one specific subculture. Yes, the visionaries behind Fighting is Magic realized that alpacas are the future, and we're all quite sure they're going to make several million dollars from their idea. And with that epiphany, we held a conference to determine what would be the next step in gaming innovation, once the novelty of this camelid sensation has worn off. Our answer? None other than the majestic North American moose! We're absolutely thrilled to take you with us into the future of interactive media, and we will all keep doing our best to make this Legends of Equestria the best game it can possibly be. Keep posted for more exciting updates, and stay classy, everymoose! 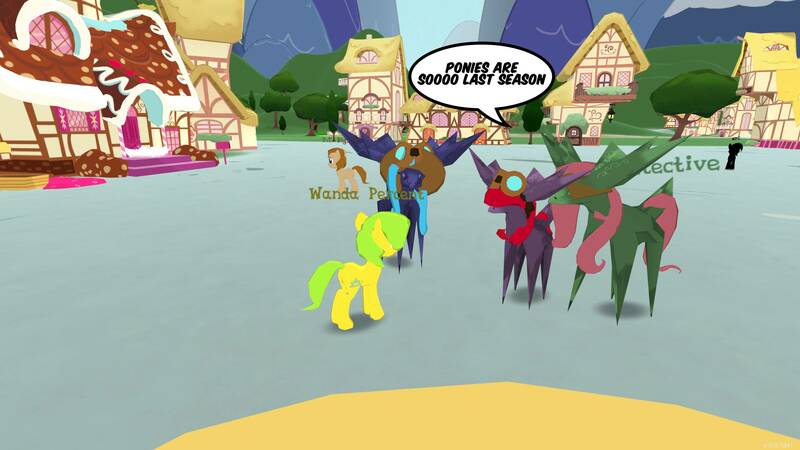 Many of you will remember last year's stress test, during which Legends of Equestria was temporarily available for public play during the weekend of Canterlot Gardens, where we allowed the fans to play the game alongside the development team, and even a few community celebrities. Some of you even had the opportunity to attend Canterlot Gardens for yourselves in Strongsville, Ohio, to see the panels, meet the guests, buy the merchandise, hear the musical performances, and take part in all of the other activities that made Canterlot Gardens such a fun and rewarding experience. Right now, Canterlot Gardens would like to provide all of us with another opportunity to have such an experience, but they need our help to do it. Last year's Canterlot Gardens was Legends of Equestria's most successful weekend since we first began, and we recieved thousands of new forum members during the time we spent at the convention. That is why Legends of Equestria is asking our fans to help fund a second year of Canterlot Gardens, so that we can all enjoy it together, and grow even more as a result. For anyone interested in helping, their kickstarter can be found at http://www.kickstarter.com/projects/1380300948/canterlot-gardens-2013. So please give what you can, and make sure to spread the word. They're counting on us! Now Recruiting: Concept Artists, 3D Modelers and 2D Artists! If you're a talented artist seeking an outlet for your creative potential, you'll be pleased to know that Legends of Equestria, the single largest and most comprehensive project for artists within the brony community, is currently looking for individuals just like you to help make the world of Legends of Equestria even bigger and better than ever! Right now, we're taking applications for all of the following departments: Concept Artists, 3D Modelers, 3D Animators, 2D Artists, and Public Relations. All applicants must be at least 16 years of age. Here's what you'll need to apply! Applicants must be comfortable drawing characters, creatures, and architecture in the style of the show, My Little Pony: Friendship Is Magic. In order to apply for a concept artist position, please email [email protected] with a link to your online portfolio. This portfolio should include something other than My Little Pony fan art. The email should also contain your Skype username, the amount of time you're able to devote to Legends of Equestria, your reason for wanting to join the project, and any strengths and weaknesses which are relevant to the position. Applicants must have working knowledge of 3D modeling and/or animating and a reasonable amount of time available to devote to Legends of Equestria, as well as a willingness to follow directions from their team leaders. It is preferred that applicants have a specialty in architectural modeling, organic modeling, 3D animation/rigging/skinning, or any combination thereof. In order to apply for a 3D modeling or animating position, please email [email protected] with links to examples of your previous work. Please list the programs you use within the email. Applicants must be able to produce textures and graphics in the style of the show, have experience with color and design theory, an adequate amount of time they are willing to devote to Legends of Equestria, and a willingness to follow directions from their team leaders. In order to apply for a 2D artist position, please email [email protected] or [email protected] with examples of your work, and a description of your skills and experience in digital art. Please also list the programs you use within the email, as well as the reason you are interested in joining Legends of Equestria. Notice from Kit: It's NOT all about ponies! We paint buildings, trees, other animals, props, clothing and so on. It is to your advantage to show artwork that focus on these things. Think castles, mountainous landscapes, detailed illustrations of machines and such. Showing textured UV maps is also very important. And while nearly everything we do is vectored and so you must show this skill, we love to see other styles and mediums. I'm adding this notice on the 11th of March so if you already submitted an application, you may update it with additional artwork and resend it. Applicants must be able to provide evidence that they are qualified to fill a position on the Legends of Equestria public relations team, speak in fluent and grammatically correct English, and have an adequate amount of time they are willing to devote to the project. In order to apply for a public relations position, please email [email protected] with a list of your qualifications and experience, as well as the reason you are interested in joining. Should you be accepted, you will receive access to a large network of individuals from around the world with various talents who are willing to work toward the common goal of creating a large-scale project, plenty of practice and feedback within your specific area of interest, and work experience which could prove invaluable to any future employers. If you're interested in game development, passionate about ponies, or simply need a hobby which will put your talents to use, please do not let this opportunity pass by! Apply at Legends of Equestria today! Legends of Equestria is not affiliated with Hasbro or DHX Media. All trademarks and copyrights are property of their respective owners. All rights reserved. Hello, everyone, and welcome to the February edition of the Legends of Equestria Artist Showcase! This month, we'll be focusing on some of the game's NPCs. For those of you not familiar with the terminology, an NPC, or Non-Playable Character, is any character in a game that isn't controlled by a player. In this case, we'll be talking specifically about two of Legends of Equestria's finished NPCs, Grassy Fields and Cocoa St. Lauren. 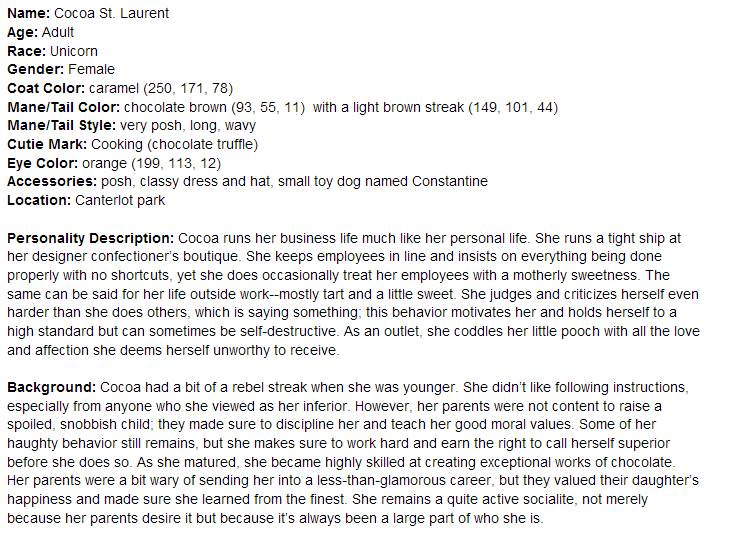 Now, the first step, as you could probably guess, is to write the character into a google document. Almost every finished concept in the game does, of course, start in a document of some sort, and we have a fairly large and extremely talented team of writers dedicated to creating the quests and NPCs that will go in the game. 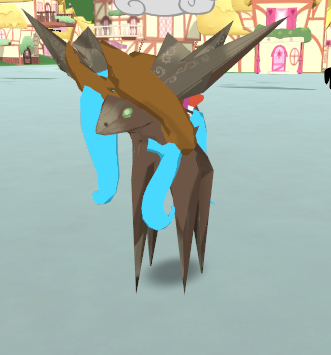 While it is possible to have a quest without any NPC involvement, most or all of the quests you'll find in Legends of Equestria will heavily involve one or more of our NPCs. As you can see from this image, the very first step involved in creating a character is creating a physical description, as well as giving some important information about the character. 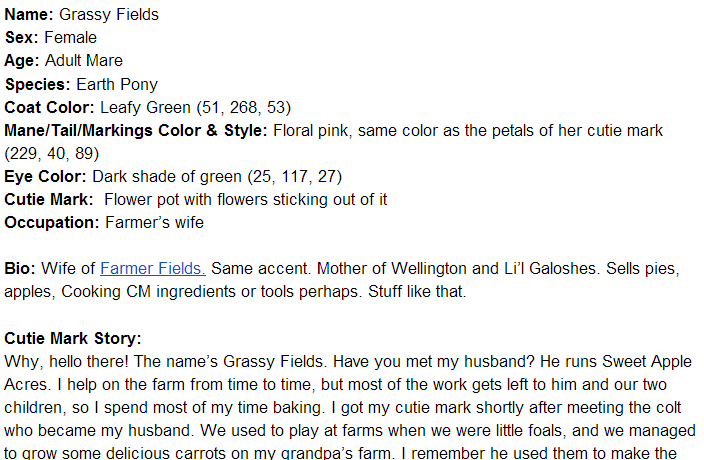 In this case, Aurethius, the writer responsible for writing the character Grassy Fields, filled in the biography by listing the relationships and occupation of the character, as well as leaving a note about the character's voice. Any special information about the character needs to be placed near the top of the page so that the voice actors, concept artists, and possibly the animators, will know whatever they need to about the character's voice, mannerisms, and appearance. 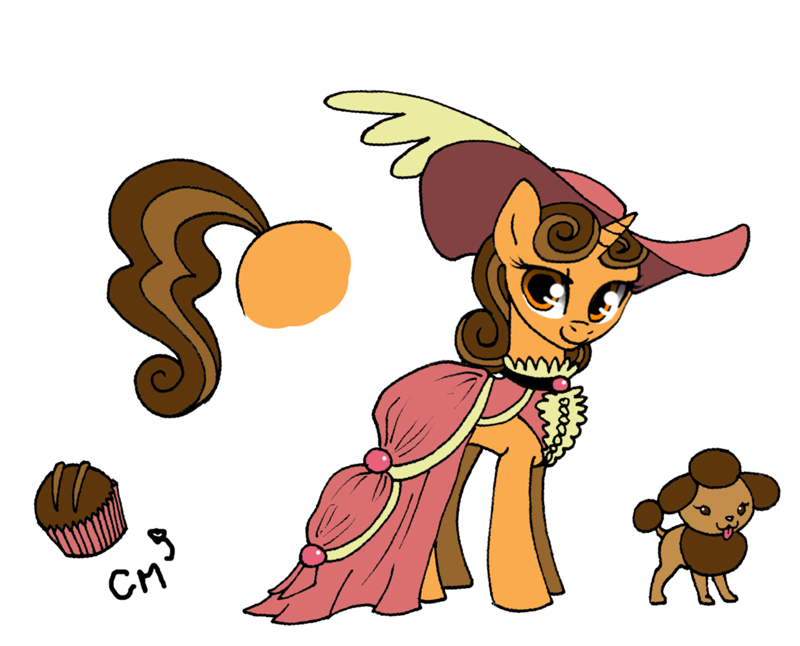 Cocoa was written as a somewhat snooty 'Artiste' type, who sees herself as extremely cultured and important, looks down her nose at nearly everypony, and dotes on her ill-behaved little dog. She's a chocolate-maker, but she'd call herself a Chocolatier. In keeping with her high-society style, her name was based on Coco Chanel and Yves Saint Laurent. 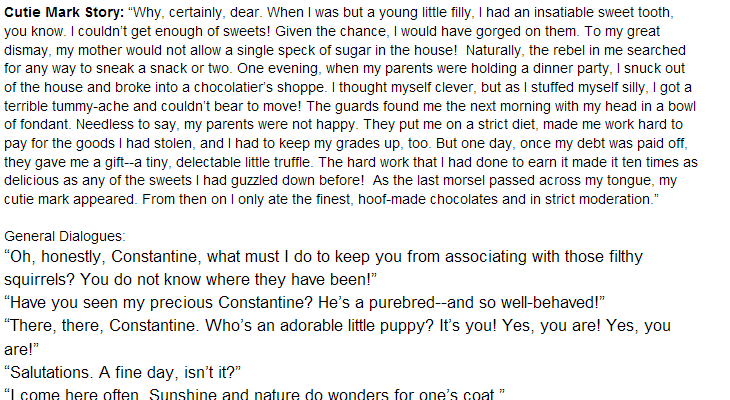 This is Cocoa's cutie mark story and general dialogues. The cutie mark stories are something that our writing team does a bit differently from what you might find in a typical game. We feel that it is important for each character to have a distinct personality and reasoning behind their every action, rather than just existing to dispense quests to the players. In keeping with this, any character that has a cutie mark must logically have attained it at one point, and this is a very important detail in the lives of the citizens of Equestria who have undergone this rite of passage. Therefore, it's required that every cutie mark has a backstory told by the pony who has it, in their own words. By giving each character a unique story to tell and having them describe an important event in their lives in such a way, we are forced to put a large amount of thought into each character and get inside their heads a little bit while creating them. The only exceptions are characters that don't have a cutie mark, are incapable of telling the player about their cutie mark, or refuse to tell the player about their cutie mark. Since the game is set in a land of happy magical ponies, the latter two categories are typically few and far between. Under the cutie mark story in each of these, you'll see the character's general dialogues. The general dialogues are triggered whenever you try to talk to an NPC, but they don't have anything important to say to you at the time. Instead of having a box full of text pop up like you would if the NPC were talking to you about a particular quest or event, you'll hear them say one of these phrases. To avoid tedium, each writer is required to come up with at least ten general dialogues for each character, and they're almost always completely unique to that character. 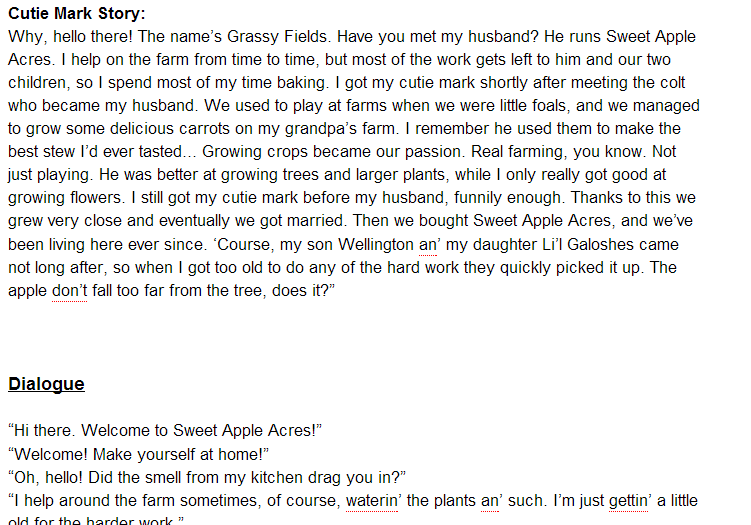 Since Grassy Fields does give you the option to purchase pies, it's also necessary for her to have a few dialogues for this on her character sheet. Any set of dialogues like this, which aren't unique to any particular quest, but are unique to a particular NPC, are placed here. Finally, there are the related quests. This is just an easy way for us to access the quests in which the character is featured without having to hunt them down. If any significant change is made to a character, it would be highly inefficient for us to go through every single quest in our database and search for the character's name in order to make sure the character stays consistent. It's also nice to have as a reference, in case someone is writing a character into another quest but isn't quite sure on the characterization just from reading the sheet. After the character has been written, edited, and personally approved by everyone's favorite talking tree, it's sent to the concept artists' pile. Now, the characters as they appear in the final game are going to use the same model as the players, with their own color schemes, cutie marks, and accessories attached, so this concept art is never sent to the 3D modelers like it typically is for buildings or other objects. Instead, it's used as a visual reference to further determine certain aspects of the characterization for the voice actors, as well as the writers for any future uses of the character, as well as for implementing it in the game when it's finished. Many of our fans will be able to tell this just by looking, but the concept art for both of these characters was drawn by Sugarcup, one of Legends of Equestria's extremely talented concept artists. 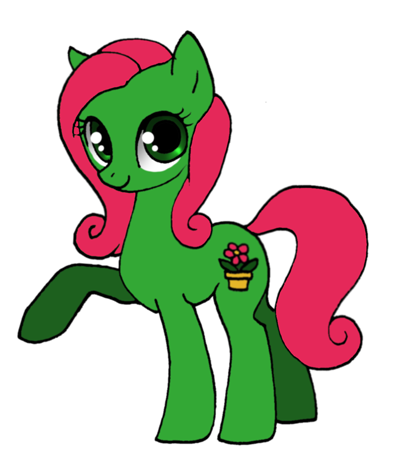 The above image of Grassy Fields was the first NPC concept art Sugarcup ever created for Legends of Equestria. 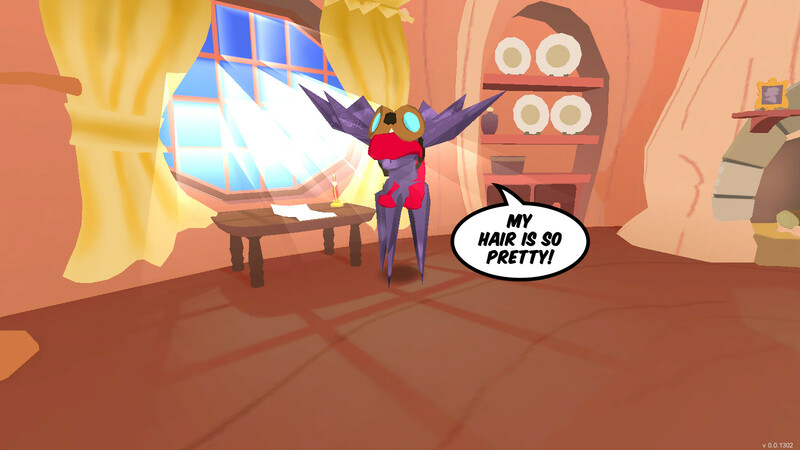 After the concept art has been finished and approved, the NPCs are sent to the voice acting team. Our audio lead, Hirosashii, personally reads through each character sheet and places them with whichever voice actor or actress will best match the character's personality. I've created a video for you all to watch below, which goes through each of the characters' general dialogues being read by their respective voice actress, as well as a few extras in the case of Grassy Fields. 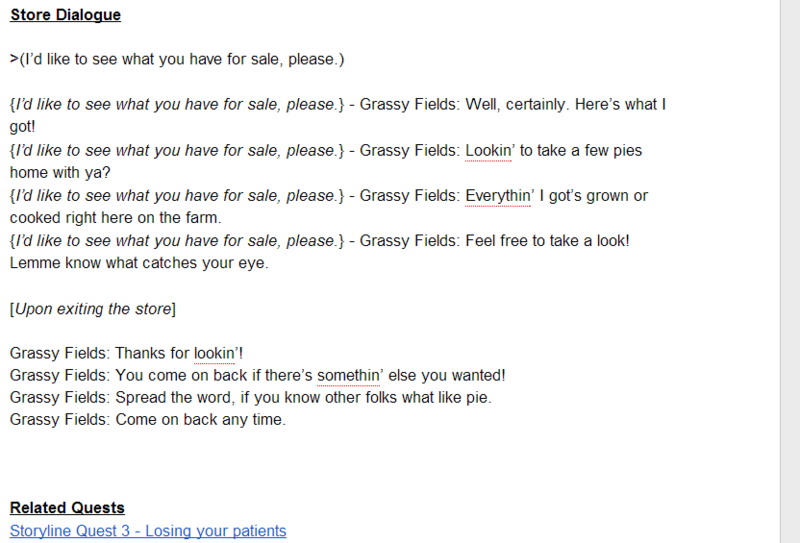 Grassy Fields is voiced by Emichwan88, and Cocoa St. Lauren is voiced by Flootershai. After the voice acting has been approved, it's sent back to the writers where we have one of our team members build the model using the character creator, and put it in the game! The actual implementation process for NPCs consists of several different steps, and has yet to be entirely completed. But between the animations, models, and scripting beyond this point, we've got enough content to fill another artist showcase as soon as it is, so be sure to check back! We might just see these two again in a later edition!